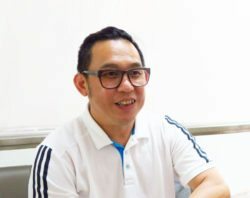 Meet Grab driver Mr. Tang – a former taxi driver who now has more time to pursue other pleasures in life. In a day’s work, he had to rush through four hours worth of deliveries, ferry enough passengers to offset the daily cab rental, before topping up the petrol tank and handing over the vehicle to the relief driver – all before 6pm. “I was always rushing…my schedule was very packed and tight,” said Mr Tang, who drove a ComfortDelgro taxi for over a decade. But now, speeding across expressways is a thing of the past. The 44-year-old made the switch to become a Grab driver last year. “The biggest difference between being a taxi driver and a Grab drive is flexibility”, said Mr Tang. “I can also finally catch my breath,” he quipped. Nowadays, he spends weekday mornings on delivery assignments, dispatching flyers to different companies and taking on last-minute assignments when clients call for it. He gets referrals for his delivery services through word-of-mouth and it is his plan to grow his customer base over time. After taking a break in the afternoon, he becomes a Grab driver in the evenings. Driving on weekends as well, Mr Tang will then call it a day by around 10 to 11pm every day. Financially, such an arrangement also makes more sense for him. Mr Tang said that during his taxi driver days, he was already providing delivery services to printing companies. He saw the potential to expand this business further but was hard-pressed to do so due to time constraint. Having owned a car all this while, he is also able to make full use of his asset now, he added. His monthly income has almost doubled, revealed Mr Tang. “My earnings have definitely increased as I can now concentrate more on the delivery business…I also hope to take on more assignments and grow this business”, he said. With this newfound flexibility, it has afforded him freedom in planning his day as well. The afternoons are often left free for him and Mr Tang said that this has not only allowed him to get the much needed rest in between jobs, he has more time for his loved ones. When he was a taxi driver, he was knackered by the end of the day and has little time for anything else. But after taking on the role as a Grab driver, he is able to get some shut-eye in the afternoons – allowing him to concentrate better in the evenings as he ferries passengers. Family time is no longer on the backburner too. The additional energy and time have translated to more visits to his 74-year-old mother; accompanying her on her medical appointments is also now a norm. “With this greater flexibility in planning my own schedule, I have more time for my family…visiting and spending time with my elderly mother,” said Mr Tang. And the one thing he relished very much is no longer having the dreaded thought of paying off the daily cab rental fees at the back of his mind. While he would typically drive about three to four hours each evening, he can now choose to head home earlier to rest if the earlier part of the day has drained him out. “I don’t have to keep stressing about whether I have managed to earn enough to offset the cab rental fees for the day,” he said. The days of seemingly endless waiting at taxi stands is similarly over for him. Mr Tang said that he has not encountered problems in securing passengers, receiving bookings the moment he logged onto the Grab app on his mobile phone. He also recalled enjoyable moments chatting with passengers, learning about their lives– which can be a nice accompaniment as days on the road get lonely sometimes. Some have also become his regulars, sharing their problems with him and encouraging him to press on in his ambitions. For instance, there was a childcare centre principal who became a regular passenger and had trusted him enough to seek his services in ferrying her two young students to school daily, shared Mr Tang. Many people, including friends and acquaintances have sought his advice on becoming a Grab driver. He would strongly recommends the role of a Grab driver to anyone who wants an additional stream of income or those wishing to adopt a slower pace of life. Learn how you can become your own boss with GrabCar. Learn more about GrabCar and how you can start earning with us.